Let’s rewind back to the start of 2016. Wall Street and the U.S. stock market was off to its worst start of a new year in all of history. But what exactly happened? Well, to start, oil prices then dropped to an all-time low in 12 years, which coincidentally happened before the media released that oil producing countries were ready to put production to a halt. This, of course, cause stock market prices to rise significantly. This, in fact, was market volatility at its finest. Market volatility can be brutal for financial investors, taking them on quite the rollercoaster ride. When market volatility is present, investors are likely to face a sense of negative pressure in addition to all the negativity that is spreading throughout media channels and sources. The truth is, market volatility can bring out the worst in investors, influencing behavior that tends to risk hindering long-term portfolio success and that is difficult to avoid. 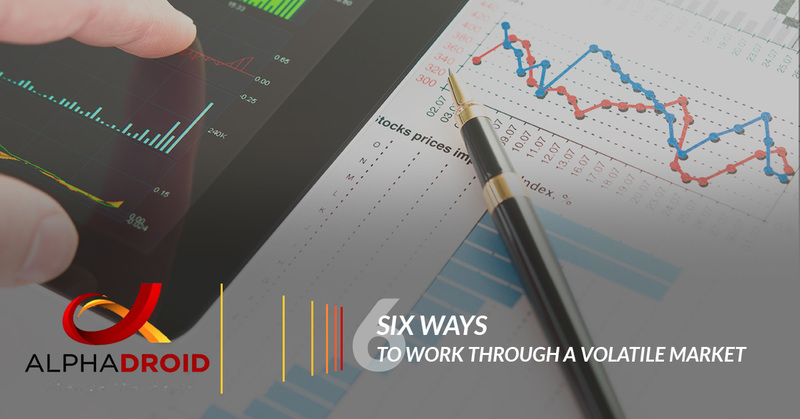 However, when market volatility becomes a rising concern we put together a few tips that can help financial planners and advisors maintain your investing resolve during difficult times. Having a solid financial plan reaps many benefits for advisors. Advisors who focus their short-term and long-term goals and develop an investment strategy created to address the specific issues within the goals will be much more likely to stay on track during times where the market is experiencing a rise in volatility. Having a detailed financial plan for these tough financial situations will increase your chances of success. It is common for clients to present a portfolio that mainly consists of stock from their companies. Usually, they have no sense of how precarious this specific situation can be. This causes their income, investment portfolio, benefits and retirement account balances to all be tied to a single specific company. Investment diversification is an essential way to build a solid portfolio. A basic, assorted investment portfolio may include multiple investment categories like cash, stocks, and bond. The allocation to each of these investment categories should reflect your investment goals and your risk tolerance. Basically, your asset allocation should be a prolonged version of your financial plan. Just remember the classic saying, “Don’t put all of your eggs in one basket”. If we have learned anything from the Great Recession, it is that markets generally tend to rebound when it is least expected, and it happens quickly. When a volatile market is existent, it can be easy to lose focus when there is a downward momentum present. While staying invested in the market during this time may require some heart and dedication, deciding to bail out of the market with the intention of returning once the market turns upward is likely to end badly. When investors choose to jump out while the market is crashing, their paper losses are turned into real losses. Additionally, due to picking the actual bottom is tough, you are likely to be hit with missing out the financial gain of the rebounded market, too. Advisors who try to time the market can — and usually will — experience losses. You go to your favorite electronics store and see the newest big screen television for 1,000 dollars. The following week, you return to the same store and see the exact same television on sale for 900 dollars. With a saving of 100 dollars, it seems like a great time to make the purchase. However, instead, you choose to wait until the price goes up 200 dollars. Yes, nobody in this specific scenario would prefer to pay more money, however, in different scenarios investors are basically doing the same thing. When the market rises, investors feel great about it and cannot wait to invest more of their money. When the market drops or is considered a bear market, they get nervous and generally want to exit the market until things look better. As an investor, by realizing that market volatility is a natural occurrence and treating as an opportunity rather than a misfortune, and adding capital to your portfolio during times you’re faced with negative pressure, you’ll be rewarded with the benefits of the rebounded market. Plus, investors that continue to contribute systematically can either market volatility by purchasing fewer shares when the market is experiencing highs, and buying more shares when the market is at a low. Following this strategy can help eliminate the emotion and guesswork out of the complex equation of investing. When advisors remain focused on their goals, it is usually easier to avoid short-term work and direct their concentration to what goals they are trying to reach in the long run. This is not always easy, especially when there is a volatile market and the media seems to constantly be sharing negative news about the current situation. With this negativity being present, it can cause us to stay focused on the bad news instead of the good. However, by staying focused on your goals and the strategies created to reach them, and by blocking out the negativity to the best of your ability, working in a volatile market is much easier. Asset allocation is the investment strategy that aims to balance risk and reward by distributing a portfolio’s assets based on an individual’s goals, investment horizon, and risk tolerance. As an investment advisor, you are likely asked to evaluate a person’s portfolio. As a safe rule of thumb, advisors who come across existing investment portfolios will likely not have taken into account their goals, objectives, and propriety of their financial plan. This can make it difficult to determine if the client’s portfolio is worth pursuing or not. That is where AlphaDroid’s asset allocation software comes in! AlphaDroid’s algorithmic trading strategies better equips financial investors to illustrate the risks and returns characteristics of a client’s portfolio. The software allows you to increase clients expected returns while minimizing their expected risk. Additionally, asset allocation software can make working in a volatile market more manageable. Staying consistent with a long-term outlook and focusing on the good during market swings, like market volatility, is no walk in the park. However, if you can avoid the common behavioral traps that have tormented so many investors over the years the rewards and benefits are likely to be significant! AlphaDroid’s asset allocation software uses algorithmic trading strategies to help financial investors be better equipped to indicate the returns and risks of a clients portfolio. It can also be helpful in setting your goals and staying focused on them, especially during market volatility. This financial advisor tool helps provide a systematic and disciplined way to capture the best days of the market and steer clear of the worst. If you’re interested in seeing how AlphaDroid’s asset allocation software can help you, try a free 30-day trial today!